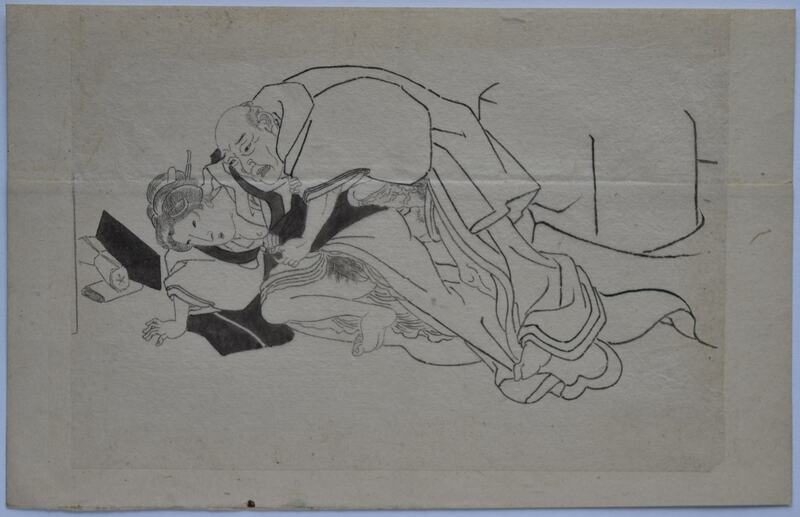 An original Kunisada shunga drawing showing an old man ravishing a young woman. Most likely a preliminary design for a koban print. Sumi on thin Japanese paper lightly attached at edges to an album leaf, 5.25 x 7.25 in, 13.5 x 18.5 cms. Probably intended to be printed four-to-a-sheet A very good quality drawing, unlike the many poor unattributed examples available.